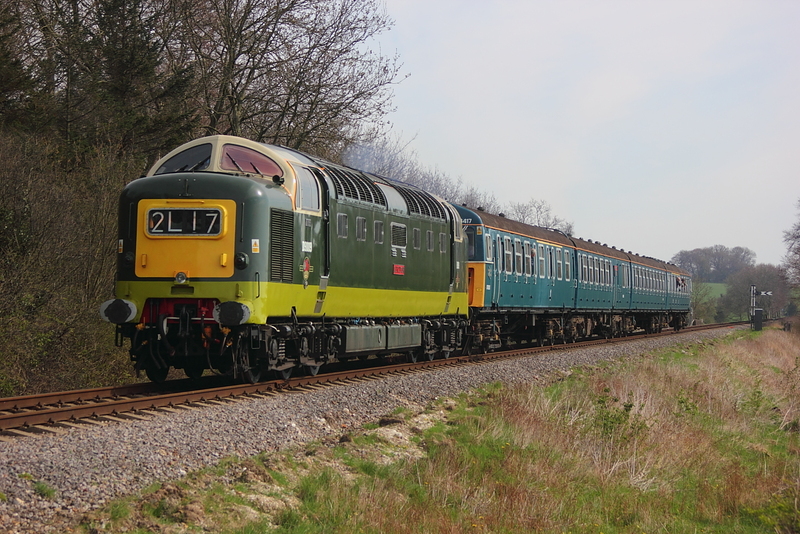 Unlikely combination here....D9009 with 4-VEP3417"Gordon Pettitt" passing on 2L07(presume the headcode not changed from a late turn on the previous day)...09.30 Alton to Alresford. 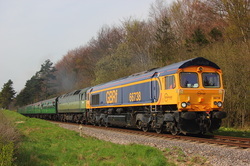 GBs 66738 with D1501 passing on 2A04,09.45 Alresford to Alton. 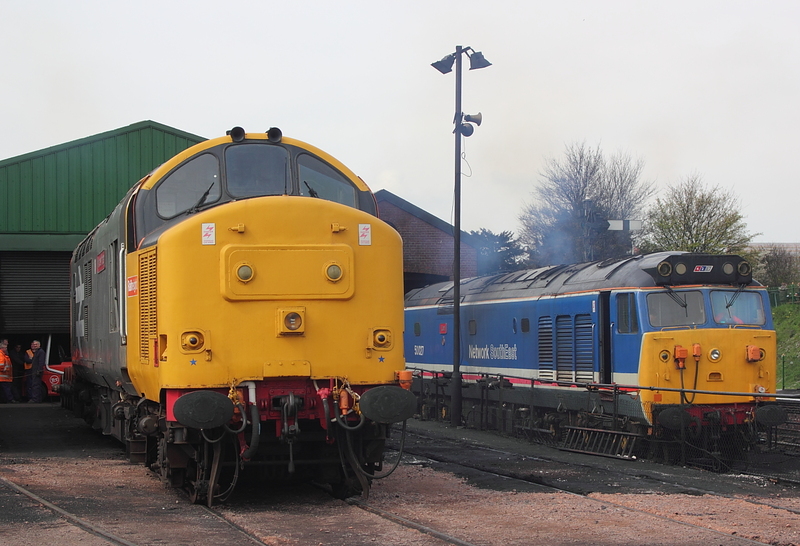 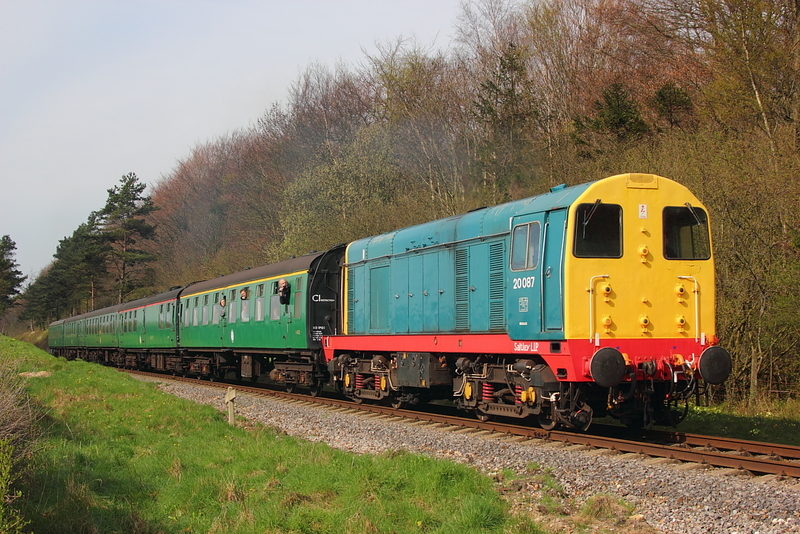 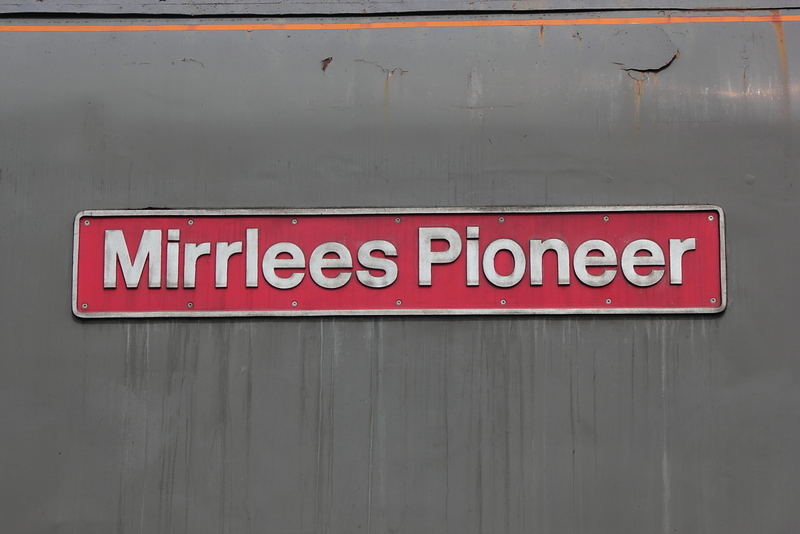 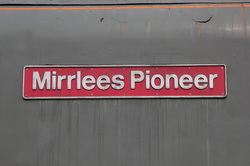 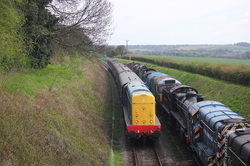 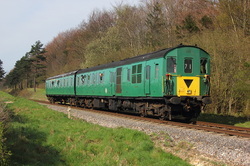 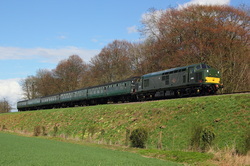 Awaiting their turn of duty at Ropley are 37901"Mirrlees Pioneer" and resident 50027"Lion"